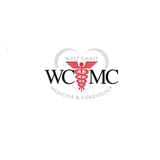 West Coast Medicine and Cardiology (Hayward) - Book Appointment Online! Dr. Sam Suri has been practicing as an Internal Medicine Specialist and Cardiologist for over 20 years in the community. He is Board Certified in Internal Medicine and is Fellowship trained in Cardiovascular Diseases and Cardiac Device management. He received his Advancement Cardiac Arrhythmia, ICD, CRTD implant and Pacemaker Training from the Cleveland Clinic. He has an excellent staff, as well as a complete suite of Cardiovascular testing equipment. Tests performed in the office include Echo's, Stress Echo's, Thallium, Carotid ultrasounds, Bone Density and ECP. Accepting new patients for Internal Medicine and Cardiovascular Diseases. All Private Insurances are Accepted and we also accept medicare, medical, blue-cross medical, alameda alliance.